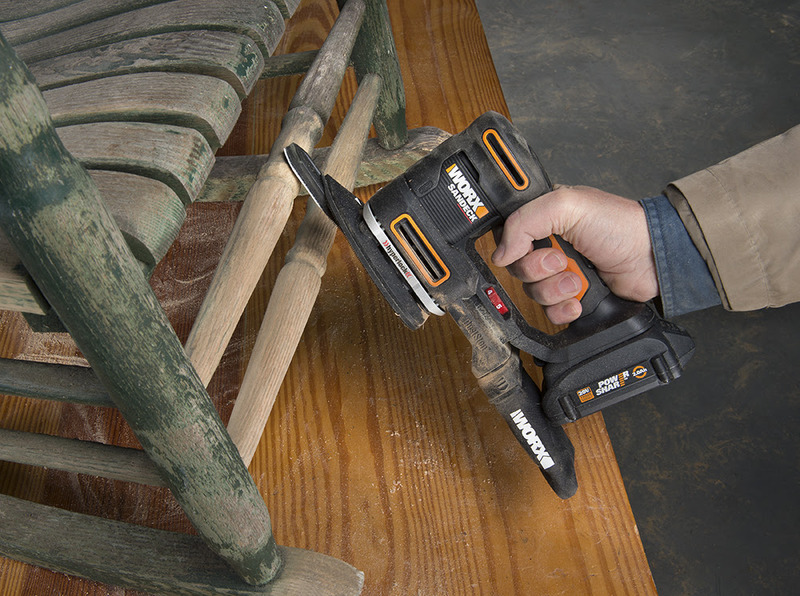 Charlotte, NC – The new WORX® 20V Sandeck™ 5-in-1 Multi-Sander does the jobs of a 5 in. random orbit sander, ¼ sheet finishing sander and detail sander. Plus, its detail sanding pad is equipped with finger and contour attachments for fitting into tight spaces and around curves. What sets this versatile, cordless multi-sander apart is its exclusive power transmission design with Mode Max Technology that maximizes the performance of each sanding function.